A group of Welsh fishermen and fishmongers are heading for London on a fact-finding tour that will take them from a bustling fish market to the fish departments of two of the most famous stores in the world. 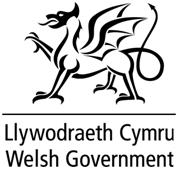 The 13 delegates are part of the newly formed ‘Welsh Seafood Cluster’ – a Welsh Government supported body dedicated to adding value to fish and shellfish caught or farmed on Welsh shores. The Cluster is part of the Business Development Programme, which through specific targeted support and ‘know how’ aims to help Welsh fisheries businesses overcome barriers to growth and exploit commercial opportunities. Following their evening arrival in London the study tour (November 23-25th) will begin with an early morning visit to the renowned Billingsgate Market. The guided tour will focus on presentation, species identification and quality assessment. The group will also have the opportunity to choose a selection of native fish and shellfish to prepare and participate in a fish-filleting workshop. Covering 13 acres Billingsgate is the UK’s largest inland fish market, and an average of 25,000 tonnes of seafood products are sold through its merchants each year. Fish has been sold in this part of London for hundreds of years, but the first purpose-built fish market was constructed in 1850. In 1982 Billingsgate Market relocated to the Docklands area and is a self-contained site comprising of a large trading hall, over 90 stands and 30 shops, a 1,500 tonne freezer store, and an ice making plant. While breakfast with the fish merchants, will give the group the opportunity to discuss developments in the fishing industry, as well as their own commercial plans. Among the fishermen taking part in the study tour is Berwyn Dennis of Pembrokeshire based Albatross Fisheries. The study tour is facilitated by Menter a Busnes through the Cywain project, and includes fishermen and fishmongers from across Wales. “The trip to Billingsgate has proved popular and it will be a great opportunity to access new markets through meeting merchants and up-skilling through a hands on block work session,” said Caroline Dawson, Cywain Manager. The three-day tour also includes dinner at the Fish Kitchen in Borough Market and visits to the fish departments of two of the most famous stores in the world – Selfridges and Harrods. Their legendary food halls and elaborate produce displays attract visitors from across the globe, and will give the group the opportunity to hear about the fishing industry from the retailers’ perspective. Aimed at the Welsh Fisheries Sector, the cluster is aimed at businesses that want to develop their capacity.